With all the different schools of thought and techniques on meditation, getting started can be overwhelming. Here’s how we start. Find a place of peace and tranquility. It doesn’t have to be real or near. Choose a place in your mind. 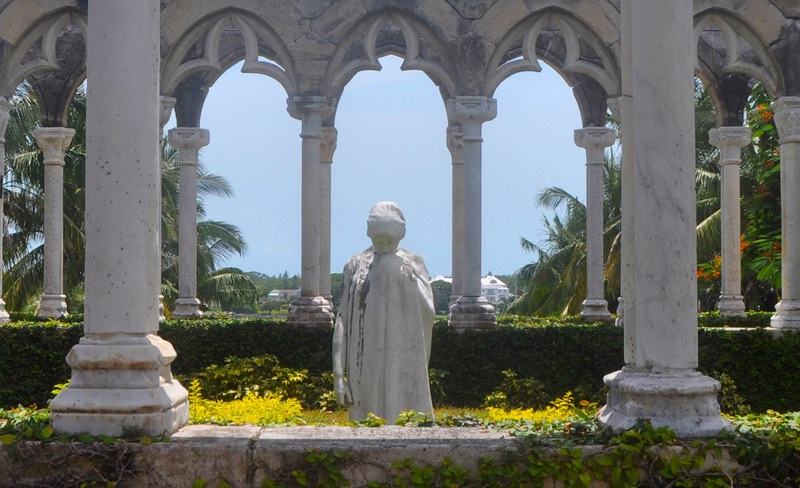 Perhaps your choice is the French Cloister in the Versailles Gardens on Paradise Island in the Bahamas. It is a short walk down the sandy beach away from madding crowds at Atlantis Resort. 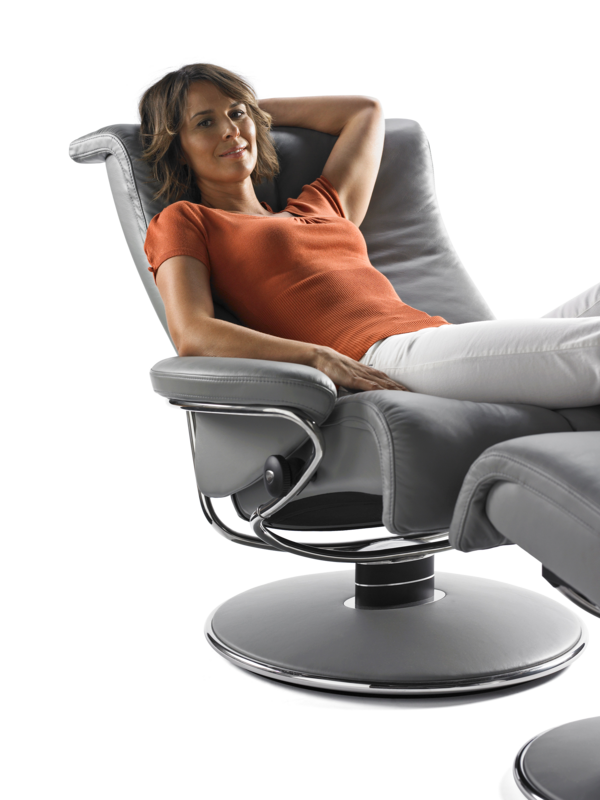 Now relax in the luxurious comfort of a Stressless recliner. Recline your back and stretch your arms, let the patented Glide System adjust to your body’s movement. Place your hands on the armrests. Take a deep breath and focus on your breathing. Breathe in through your nose and feel your chest expand. Now breathe out through your mouth and feel your stomach extend. Repeat several times. Experience the comfort of the chair while you listen to the sounds of the natural world. The wind blows gentle through the dappled leaves of the trees. In the background are the rhythmic sound of the ocean waves. As you contemplate the stillness of your soul, observe the colors of the universe. The sky is a brilliant blue against which the crisp white and subtle greys of the clouds pass by, occasionally shading the yellow sun. The green in the grass, the soft reds and blues of the flowers. Now smell the salt in the air rising from the murmuring waves on the sandy beach. Even the verdant grass in your secret garden has its smell – rich and verdant, the smell of the earth after a morning shower. The flowers possess their own peculiar scent, a perfume that wafts on the air and enters your nose. Continue to gently breathe in. Even the tiny flutter of an insect’s wings can be heard as it approaches the flower. Be at peace in a Stressless recliner. Even in a resort as beautiful as Atlantis in the Bahamas, one needs a getaway, a private spot to find a moment of silence in the midst of all the fun. Such a spot is the French Cloister. Half way down Paradise Island Drive toward the County Club and golf course, tucked neatly between the road and the beach is the French Cloister set within the Versailles Garden of the One & Only Club. Don’t be put off by the intimidating name of the club, it is open to the public. 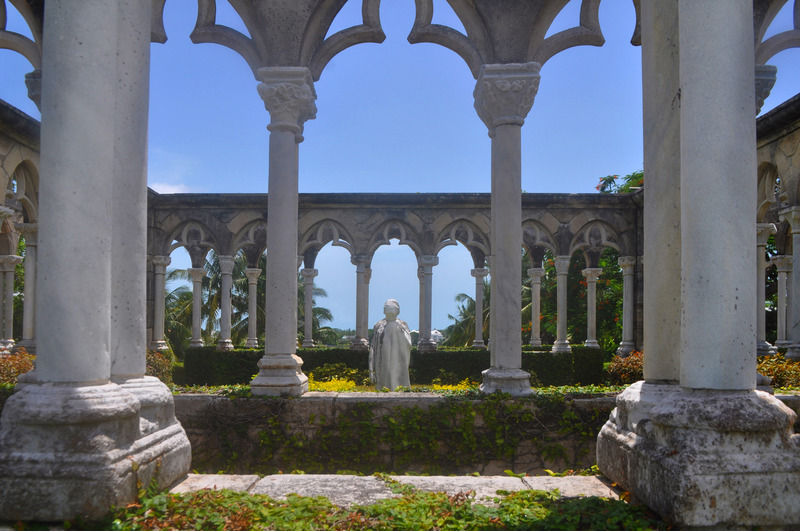 The Cloister is the remains of a 14th-century monastery from Montrejau, France which was shipped to the United States in the 1920s by William Randolph Hearst. 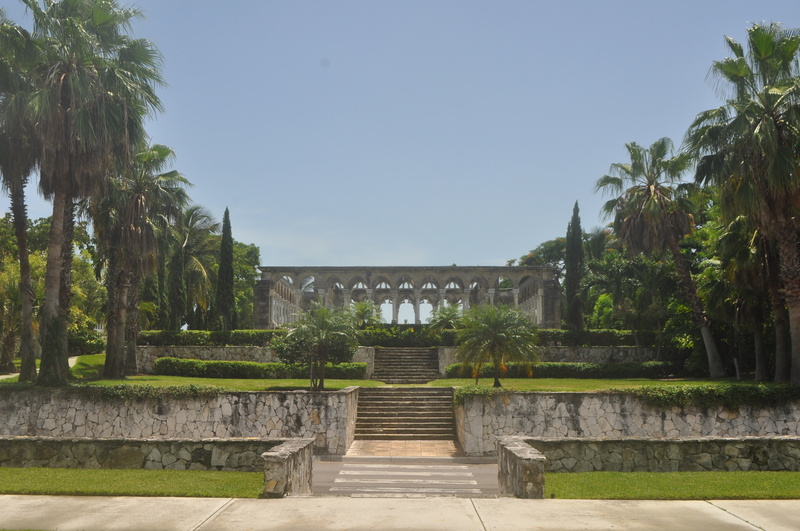 In the sixties, Huntingdon Harford II, Atlantic & Pacific Tea Company heir, bought the Cloister from the Hearst estate. He then discovered that the pieces had not been numbered. 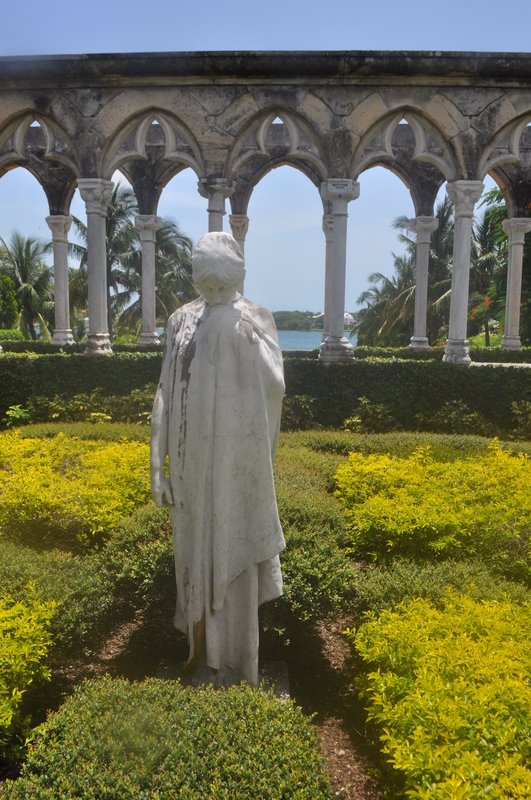 In 1968, Jean Castremanne, an artist and sculptor, put the Cloisters back together piece by piece over a 2 year period. One returns from a vacation and years pass. And in our thoughts we recall these silent moments before we fall asleep. And recalling we think, “Silence is the sleep that nourishes our wisdom,” and reverence, the solace to soothe our soul.